This December, the Sustainable South Sound’s Community Garden Resolution is being presented at a General Government Committee Meeting of the Olympia City Council, marking a tangible step forward in work that has been going on for many years. With luck, it might be adopted by the City prior to year-end. From the early stages of the Sustainable Community Roundtable (earlier name of SSS), food systems have been an integral part of the work and mission. Specifically, the Local Food Systems program of SSS began as an independent project called Urban Agriculture. The program promoted the development of sustainable communities by providing oversight and organizational support for community gardens. The SSS Local Food Systems program has recently overseen two community gardens: the Lacey Crossroads Community Garden in partnership with the Sherwood Group, and the Olympia Community Garden located on 13th Avenue just west of Central Street SE. In 2016, the SSS board of directors began discussing what it would look like to create access to similar community gardens for all Olympia residents. At the time, there were five community gardens in the City of Olympia, with two on the Westside being managed by the City itself. But there were still major gaps where highly populated neighborhoods did not have access to a garden: mainly in the downtown core, and on the east side of the city. It was clear to the SSS board that full access would mean within walking distance – which is generally established as a half mile. Board member Natasha Bynum was an intern with the organization at the time, and was tasked with drafting a Resolution document in the spring of 2017. 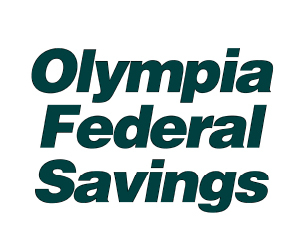 In the past, the City of Olympia has partnered mainly with neighborhood associations to support making improvements that benefit local residents. Both the City and Thurston County have expressions of policy support for community gardens in their comprehensive plans. Unfortunately, the SSS initiatives have not seen any tangible supports in recent years. The new resolution specifically calls on the City of Olympia to establish policies and procedures that will support garden initiatives, and to help identify public and private lands suitable for such gardens. The Resolution document itself goes into greater detail about the benefits of maintaining community gardens within city limits, as well as naming beautification and preservation of open spaces as additional returns. Recently, SSS community garden advocates participated in the 2017 Food Summit put on by South Sound Food Systems Network. “SSS presented the Resolution in a panel discussion called Empowerment through Local Gardening, with Katie Rains from GRuB, and Kristen McIvor, Harvest Pierce County Director,” explains Bynum. Hawkins points out that one of the main takeaways from that panel discussion was the realization that having a cohesive group that has developed a way to work together and make decisions is imperative to operating a successful garden. In addition to land and basic infrastructure like water, beds, soil, and fencing, having an established way of participating in the garden is an essential step. Whether it’s municipally-managed registration for individual plots, or a community-organized way of making decisions, some sort of participation structure is essential. Outside of those necessary features, the SSS board has maintained an open outlook about how to achieve their vision. “We concluded that the best way to achieve the goal of a community garden within one half mile of every city of Olympia resident was to be open to a conglomerate of avenues to get there—whether that be publicly funded and managed on park land (such as Yauger and Sunrise), the development of a garden on private land, a garden supported and started by Neighborhood Associations, and/or any sort of mix of all three options,” Natasha Bynum. “What people can do to support and join the cause would be primarily to begin organizing and creating interest for a community garden in their area. Anyone who feels passionately about heading up a garden project or anyone who believes their property would be good land, or anyone involved in their Neighborhood Associations should bring these opportunities and interest to the attention of the city, Sustainable South Sound, and City Council meetings,” says Natasha Bynum. And that doesn’t just mean Olympia City Council. 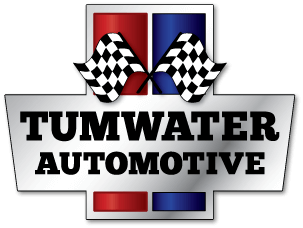 The Board of SSS did not intend to Slight Tumwater or Lacey- we’re just small, and ooze slowly – 2018 workplans include getting the whole metro area on board to the Goal.